You may not realize this about me, but I’m one of the biggest Jerry Seinfeld fans in the world. I can recite line after line from the greatest television show ever made and even some of his stand up comedy. Jerry once did a comedy bit about the ridiculous car names. So why am I referencing this? Well my tester this week is the 2014 Subaru Impreza. So was I “imprezzed”? Not so much. To be clear, the Impreza, despite its name, is not really meant to be impressive. Rather the 2014 Subaru Impreza’s purpose is to be sensible and capable. And it’s certainly sensibly capable all around vehicle. Editor’s Note: Our co-founder and editor, Aaron Turpen, already did a write-up on the 2014 Subaru Impreza Sport hatchback. 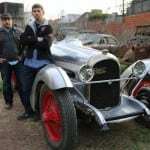 Since CarNewsCafe likes to showcase different views on the same vehicle we have two reviews. 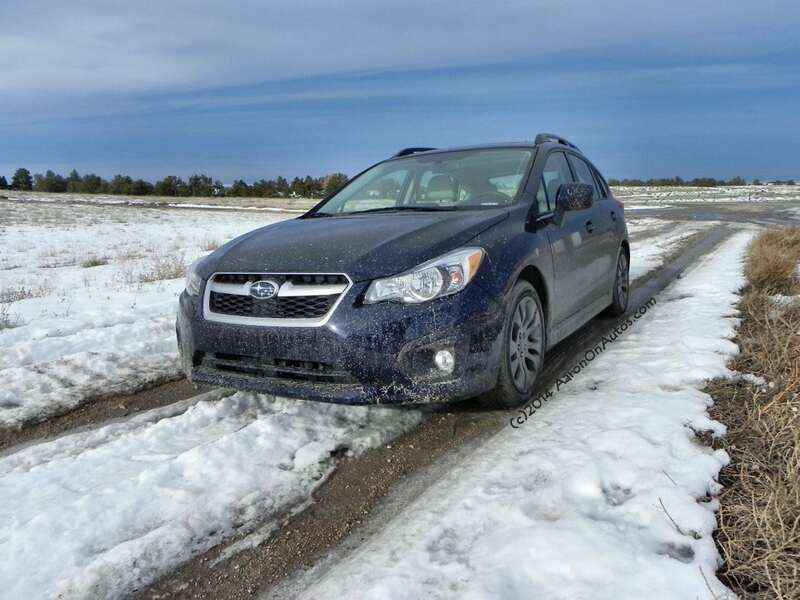 We encourage people to read this review in addition to Aaron’s 2014 Subaru Impreza review. The Impreza comes as both a sedan and a hatchback. 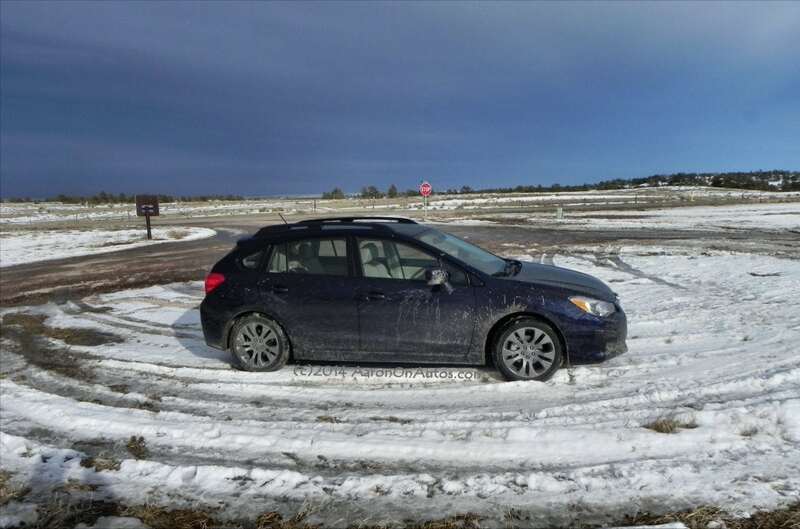 I had the 2014 Subaru Impreza hatchback for the week and in my opinion it has better looks. The sedan’s design is uninspired, lacking much styling while the hatchback gives off a slight sense of sportiness. With its exterior design, the Impreza is much more suited to be a hatchback, than a sedan. The roof rails and fog lights showcase what Subaru is best known for – making rugged vehicles. Unfortunately, these features are only part of premium packages. 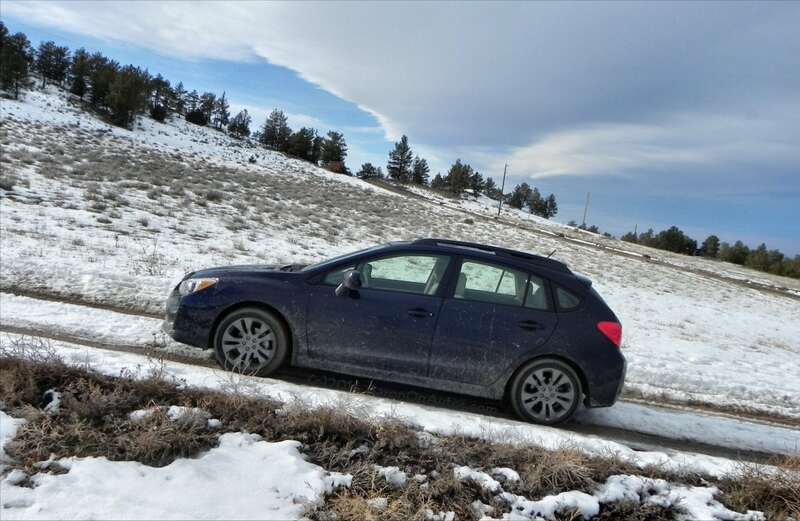 Despite the tame outwardly appearance, the Subaru Impreza still looks and feels like a car that can comfortably jump off road. 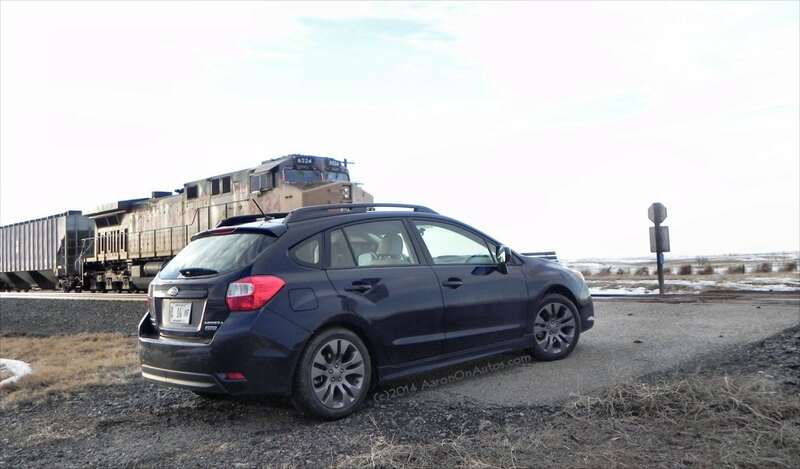 A 2.0-liter horizontally-opposed boxer engine powers the 2014 Subaru Impreza. The four-cylinder engine makes a mere 148 horsepower. This is one of the biggest flaws of the Impreza. 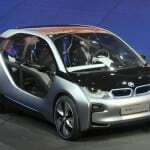 Some vehicles over perform their powertrain numbers while some fall short. In this case, my tester felt pokey, sluggish and was generally an uninspired car to drive. In addition to being underpowered, I found the 2014 Subaru Impreza was extremely loud, allowing engine noise to clatter its way into the cabin. Compile that with a disappointing continuously variable transmission and the Impreza offers little as far as drive performance. 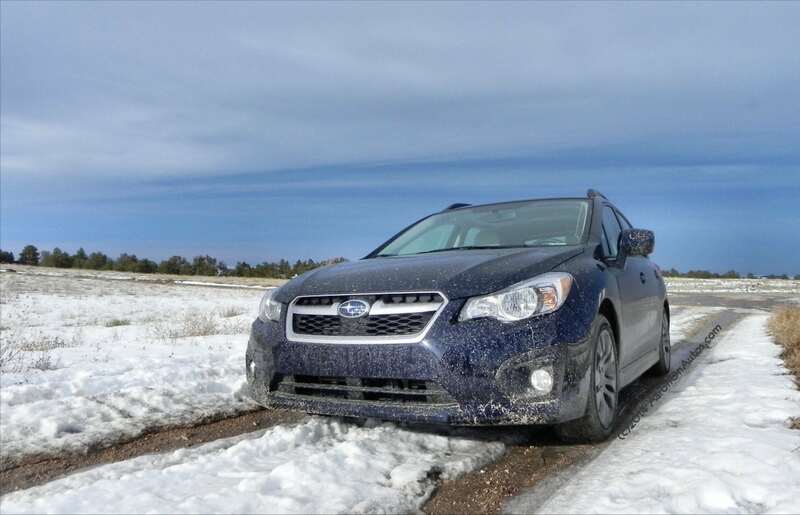 Sure, much like most Subarus, the Impreza offers all-wheel drive (AWD), and that’s nice. I’m open about my love of AWD vehicles, just as I’m open about my dislike of CVTs. The AWD does improve the handling and offers peace of mind during inclement weather. I could almost tolerate the cabin noise, and the lagging transmission if the interior was up to modern standards. I realize that Subaru appeals to a more-outdoorsy consumer, where technology and luxury are not as important. So with that in mind, I took note of the Impreza’s interior and realized it is quite suited for what they want to accomplish. Seats are comfortable and there are quality materials throughout. Rear legroom is spectacular. Even the cargo room is above average with a 12-cubic-foot trunk for the sedan and 22.5 cubic feet for the hatchback. Again, I favor the hatch more than the sedan. Why wouldn’t you? You get almost twice as much cargo area with the same vehicle footprint. However, in either 2014 Subaru Impreza model, the infotainment system is subpar. A clumsy, practically worthless touchscreen drives the audio and connectivity. But it’s not intuitive and many of the features don’t work while the car is in motion. In short, if you like modern technology and gadgets, then the Subaru Impreza won’t “imprezz ya”. The Subaru Impreza sedan and hatchback versions are available in three trim offerings, 2.0i, 2.0i Premium and 2.0i Limited. Note, there is a high performance WRX version of the Impreza as well. My tester was the top-of-the-line Sport Limited which had a laundry list of standard features including roof rails, fog lights, leather upholstery and alloy wheels. These niceties add some appeal to the Impreza. I would imagine that I might’ve had even more disdain for the basic trim level. The 2014 Subaru Impreza hatchback is affordable with the base models starting under $20,000. My tester had an MSRP of $24,990. 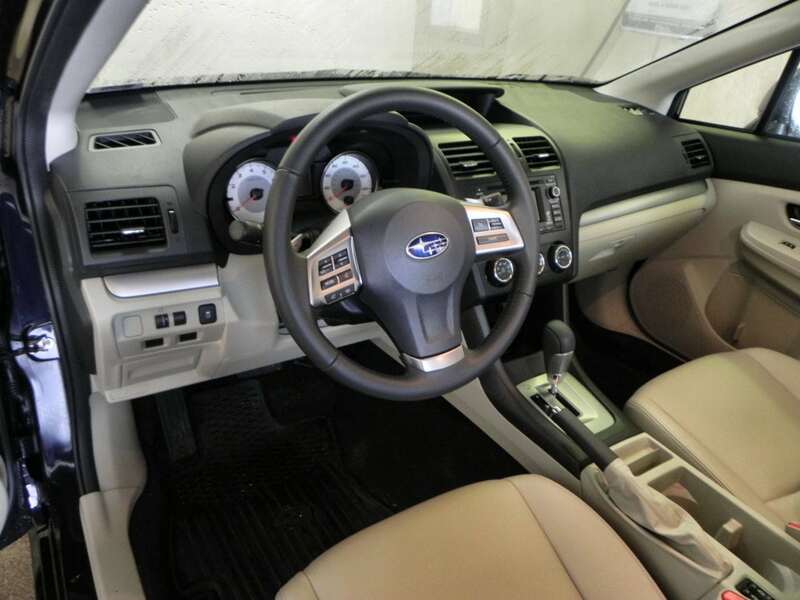 Fuel economy is where the 2014 Subaru Impreza starts to impress. 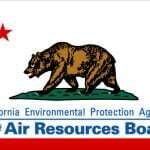 It has an EPA rating of 27 city and 36 highway. Considering it has all-wheel drive, this is a very impressive number with appeal to the Midwestern driver where AWD is a major consideration. In a week’s worth of mixed driving I sipped along at a rate of 28 MPG. Talk about “imprezzive”. The Subie fanatics out there may show more love for the Impreza than I have. I do see a vehicle that has merit for the right consumer with the right expectations. 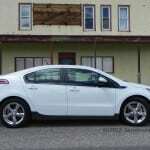 I just wish it had a quieter, more powerful engine and better technology features more inline with current offerings. Maybe then I’d be more “imprezzed” with the 2014 Subaru Impreza. Subaru could have much better cars but they seriously lack in the design department. The interiors I’ve always found are just “blah” and the seats are not comfortable. It is sort of seems like they just let the engineers take over designing the entire cars and kicked all the aesthetic and comfort people out of Subaru. LOL, Subaru prides itself on designing in-house.